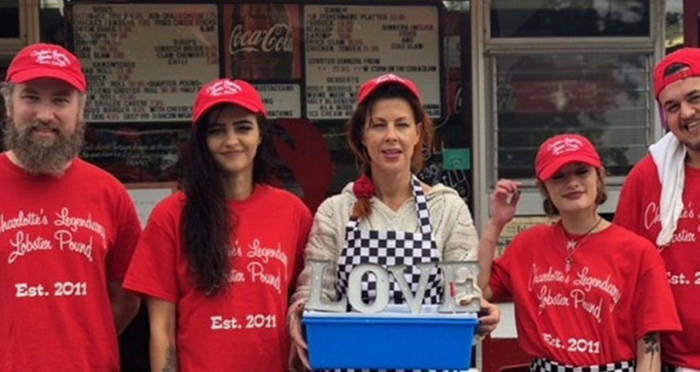 Press Herald/Charlotte GillRestauranteur Charlotte, center, holds the lobster’s hotbox. 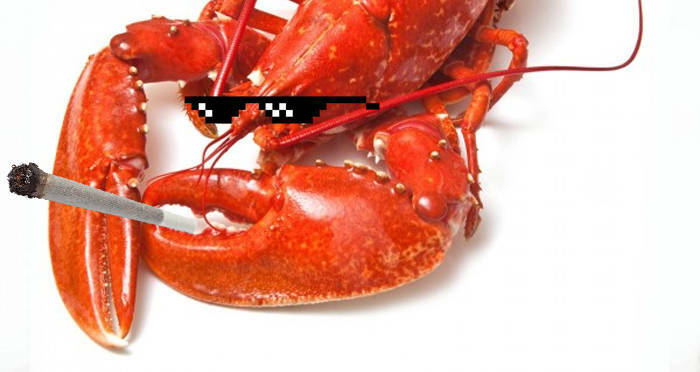 A restauranteur in Maine now offers customers the option to hotbox their lobster in cannabis smoke before they are boiled. Charlotte Gill, owner of Legendary Lobster Pound in Southwest Harbor, Maine, specializes in fresh lobster. But she wanted to find a way to make the boiling process more bearable for her creatures. She claims that hotboxing the lobsters with cannabis smoke is the more humane way to do just that. Gill, who is a licensed medical marijuana caregiver, tested her theory out by putting one lobster named Roscoe in an isolated tank which was filled with two inches of water and a healthy dose of cannabis smoke. Shawn Patrick Ouellette/Portland Press Herald via Getty ImagesPETA does not approve of the practice. Gill claims that after two weeks in the cannabis smoke tank, Roscoe was significantly less aggressive once placed back into his original tank with the other lobsters. She also notes that if customers do choose to have their lobsters steamed in cannabis smoke before they’re boiled, the process will not result in the lobsters being infused with THC that can then be consumed by the diner. 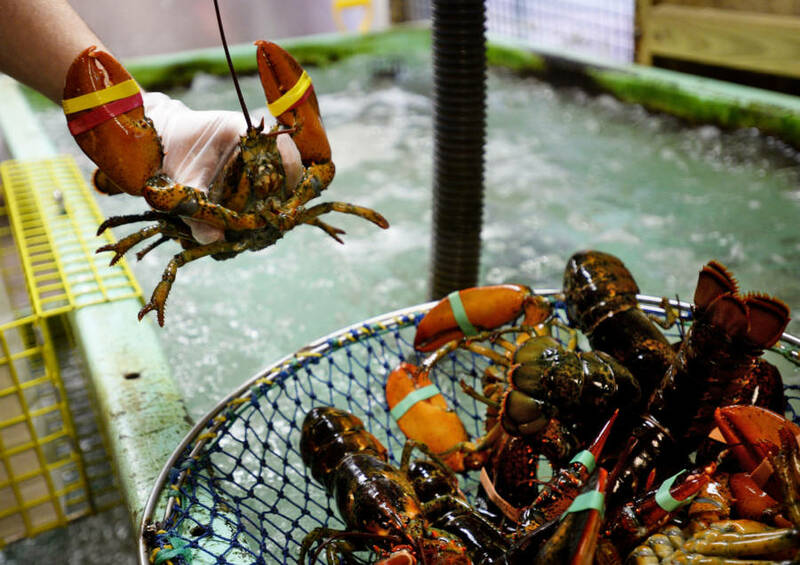 “It is highly unlikely that getting a lobster high would make a lick of difference when it comes to the full-blown agony of being boiled or steamed alive,” PETA said in a statement sent to Marijuana Moment. The process of preparing a lobster for consumption by boiling it alive has been an issue among animal rights activists for many years now, who claim that the practice is inhumane for the creatures. John Greim/LightRocket via Getty ImagesScientist’s continue to speculate as to whether lobsters feel pain the same way humans and other animals do. In January 2018, Switzerland made it illegal to boil a lobster alive, and instead require that chefs stun the lobster before boiling it so that it doesn’t feel any pain. 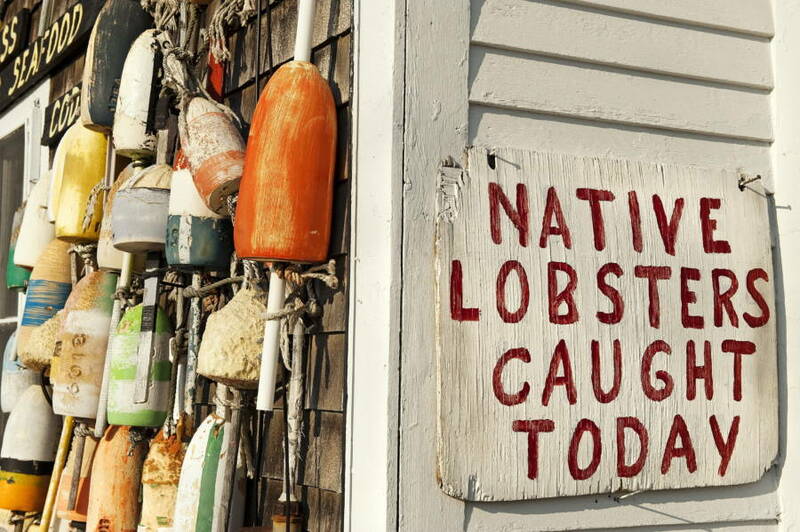 The new law also banned the transportation of lobsters in ice water, only allowing the crustaceans to be handled “in their natural environment,” according to Business Insider. But scientists generally don’t agree on whether lobsters feel pain the same way humans and other animals do. According to Robert Bayer, executive director of the Lobster Institute at the University of Maine, the lobster’s central nervous system most closely resembles an insect’s — meaning that lobsters react to sudden stimulus but don’t have complex brains that allow them to process pain the way humans and other animals do. So although Gill’s hotboxing technique likely doesn’t have any effect on the lobsters at all, marijuana enthusiasts will still probably love to have the option to get their lobsters “baked” before they’re boiled. Next, find out which countries smoke the most weed using this marijuana world map. Then, check out these examples of ridiculous 20th-century anti-marijuana propaganda.